1) I started my blog. 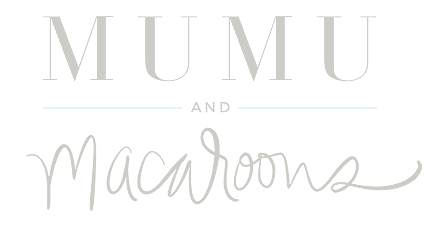 In February of 2017, Mumu and Macaroons officially started. It had always been a dream of mine for years to start a fashion blog and I finally made the plunge. I am so, so glad that I did. I honestly started it having no idea where it would take me. I thought it would probably be a hobby for me and something that I could do to give myself a creative outlet. Little did I know, it grew way faster than I ever imagined that it would and I was finally able to have it be my career. I took the scary risk of quitting my corporate job to pursue this dream of mine and I have so much gratitude to all of you for helping to make my passion come true. I love each and every one of you more than you will ever know. 2) I had a falling out with a friend. This situation was a ROUGH one for me. I won't go into crazy details but unfortunately I had a big falling out with someone who at one time I considered one of my best friends. This was a very traumatic experience for me as I have never had a falling out like this with a friend before. Of course, I have gotten into fights with my friends before but never anything to this degree. When I decided to part ways with this person, it was cold turkey and I haven't spoken to them a day since. It's been over 6 months. Although I feel like I made the right decision, the wealth of emotions that followed this decision was intense. I had feelings of regret, feelings of hopelessness, feelings of sadness, feelings of peace, feelings of uneasiness, feelings of happiness, feelings of anger-I mean you name the emotion, I felt it. And the feelings went up and down. One day I would feel great about everything and then the next I would be sad again. I wondered if the cycle would ever end. Thanks to time, therapy, and the most amazing family and friends a girl could ask for, I can finally say that I am at peace with the situation. I have realized that I cannot control every single situation and that sometimes I just have to let it go even when my heart sometimes has emotions of it's own. I have learned that everything happens for a reason and that I have to trust in God's plan. I have learned who my true friends are. More importantly, I have learned to forgive and let go of this terrible situation. I do and will always love this person and want nothing but the best for them. When I decided to forgive myself and everyone involved in what produced the downfall of this friendship, I was really set free. I no longer hold onto the hate and the bitterness. I have truly realized that life is way TOO SHORT to hold grudges and to hang onto hate. We are not guaranteed a tomorrow and although this friendship didn't turn out to be tried and true, it would still kill me if anything happened to this person. For many different reasons including peace for myself, I have decided to let go of the anger and focus on the positive things going on in my life and to be thankful for the good times that were had. 3) My parents went through a divorce. This was by far the hardest part of 2017. My dad has battled a drug addiction for most of my life so honestly when my mom called me and told me the news it wasn't that big of a shock to me. We wanted my dad to get help every single day and we even sent him to rehabs to get help a few times and every single time he would come back and not finish the program and we would be right back to where we started. In the back of my mind, I always knew that my mom deserved better and I felt so bad for what she had to endure every single day. The lies, the stealing, the abuse (physical and mental) that comes with being involved with someone who has a drug addiction is something that no person should have to go through. Not to mention, everything that I have witnessed growing up has scarred me for life and is something that I will have to live with and learn how to deal with for the rest of my life. When my mom made the call to tell me about the divorce I was happy but very sad at the same time. No one ever wants to hear that their parents are getting a divorce. But things had gotten so bad that I was glad my mom was going to have a second chance at happiness and at life. We tried so hard to get my dad to realize that he had a problem and he just wouldn't do it. Everyone knows that the first step to overcoming a problem is to admit that you have a problem and if someone won't admit they have a problem after 15+ years then there is really nothing else you can do. My parents divorce is officially finalized. I haven't spoken to my dad in over a year which has been the hardest thing about this entire season of my life. He has been in and out of jail a few different times which was really hard to swallow. Until he can admit he has a problem then I just really feel like there is no need to talk. It doesn't mean that it is easy for me. I wanted to call him on his birthday so bad, I wanted to call him on Christmas and wish him a Merry Christmas, there have been a lot of things that I have wanted to do but I have had to stay strong. I worry everyday if I will get the call that something horrible has happened to him. I have had to learn to give this situation completely over to God and to pray that my dad will one day realize what has happened, be able to admit that he has a problem, get the help that he needs, and can be a better man. I hope this so that one day we can have the kind of relationship that we both deserve to have. 1) Stop sweating the small stuff and be more positive/see the good in every situation. 2) Surround myself only around people who support me, lift me up, and make me want to be a better person. 3) Be more forgiving and understanding of other people and their situations. 4) Be a better friend, wife, daughter, and person in general. 5) Work on taking my blog to new levels by pursuing new opportunities and always looking to improve in areas that may need some improvement. 6) While working on my blog, also make sure I give myself time to "unplug". In 2018, I really need to work on making more time for family and friends and to learn when to put the phone and computer down and rest and be present. This is something that I did not do a very good job at in 2017 that I really want to improve on in the new year. 7) Continue to work out but also make healthier changes. I really want to work on eating healthier in 2018 and holding myself to even higher standards at the gym. I will still continue to do Kayla Itsine's BBG program but I also want to incorporate some other workouts into my weekly workout routine. 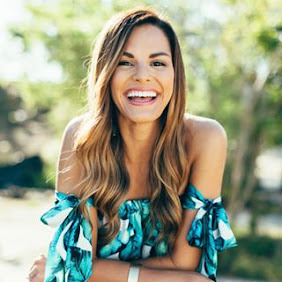 Eating healthy has always been hard for me as I love good food, my husband and I love going out to eat for dinner, and I have a big sweet tooth. In 2018 I am going to make it a priority to learn more about healthy eating and to find ways to easily incorporate it into my daily routine. 8) Save more money. This is always big on my list every year and I have gotten A LOT better about spending money but this year my husband and I want to buy a house so saving money in any way that I can is really important this year. 9) Get more organized. I need to work on better organizing my blogging work, especially my emails. Right now I don't really have a good system going on and my emails are out of control. I really plan on focusing on getting organized in 2018 and finding a good system that works for me so that I do not miss out on good opportunities from simply "missing an email" or not getting to it in enough time. 10) Work on my faith. Faith has always been a huge part of my life but there is a lot of improvement I can do. My husband and I go to church when we can but we don't go as much as we should. Going to church has always been very important in my life and in 2018 I want to make sure that I make it a priority to go every single week. I also want to make it a priority to start out every single day by reading my devotional and praying. Having a stronger relationship with God is my number 1 priority in the new year. 2017 has been bittersweet and I cannot wait to see what all 2018 brings. 2018 brings a year of new opportunities, new outlooks, new friendships, new adventures, and new lessons. I have never been more ready to take on a new year than this year. I am ready to better myself as a person and to have a better outlook on life. I can't wait to see what 2018 brings and what God does in mine and my husband's life. 2018, here we come!!!! Isabelle thank you so much for your sweet words and taking the time to read. It means more to me than you know. I hope you have the best New Year! Wow! Thank you for sharing this girl. I think we've all had our ups and downs this year. I'm sorry for all of the negative things you had to go through and I celebrate all of the positives! I hope your 2018 is a great year and I can't wait to see what's to come! Aw Caitlin thank you so much for your sweet words. And thank you for your continuous support. I hope you have the best 2018! You taking the time to read this means so much to me. Wow, thank-you for your vulnerability and being so genuine and real. I’ve experienced a few of those things and they can be so traumatic during the time, yet so freeing and healing once you truly let go, like you did. Sometimes God calls us through trials, perhaps he was calling you to a greater dependency on him through growing to Faith. Have a very blessed 2018! I'm new to your blog and what an amazing journey just in the past year. Thank you so much for sharing. I wish you nothing but the best in 2018! Can ask you how did you grow your blog so quick within the year? I loved this post so much and your honesty! So glad we connected this year through blogging! Here is to a wonderful 2018! Katy, I love this post. You have such a wonderful attitude despite the all challenges you face. I just started following your blog in the last few months but I always get so excited when I get a notification about a new post or see you have an Instagram story up that I can watch. I can’t wait to see what you’ll do in 2018! If you’re looking for a new workout, I have to recommend Barre3. They have studios all over the place but offer online subscription if there isn’t one near you. It’s a full body workout but mentally refreshing. The workouts help me feel strong, confident and content. I hope you’ll look into them. Happy New Year! Such a very personal and emotional post. I hope you have a wonderful 2018! Your blog is wonderful. Hey girl! Thanks so much for sharing this post! My year had a very similar dynamic to it, and I’ve tried really hard to focus on what I can learn and how I can grow through the low points. I hope you have an awesome New Year! !